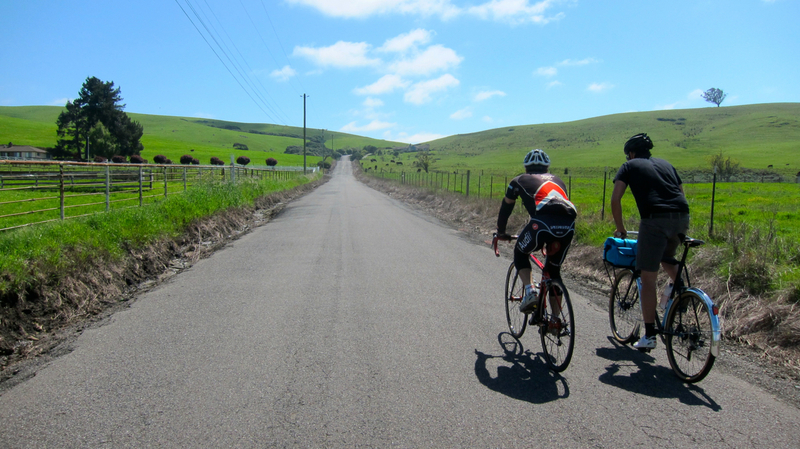 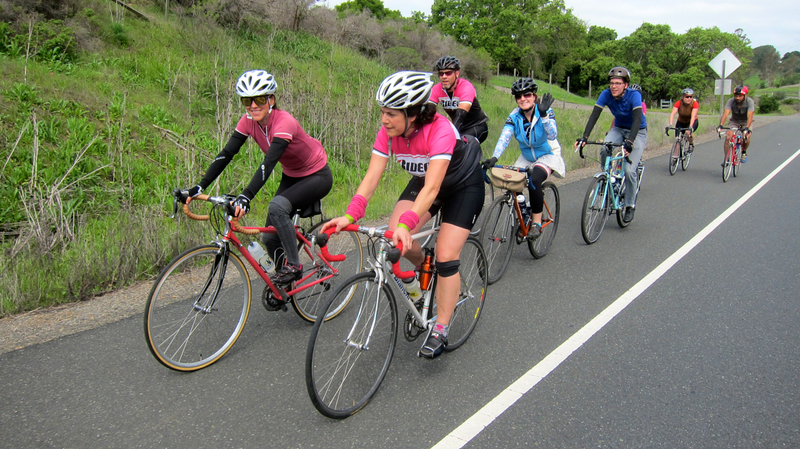 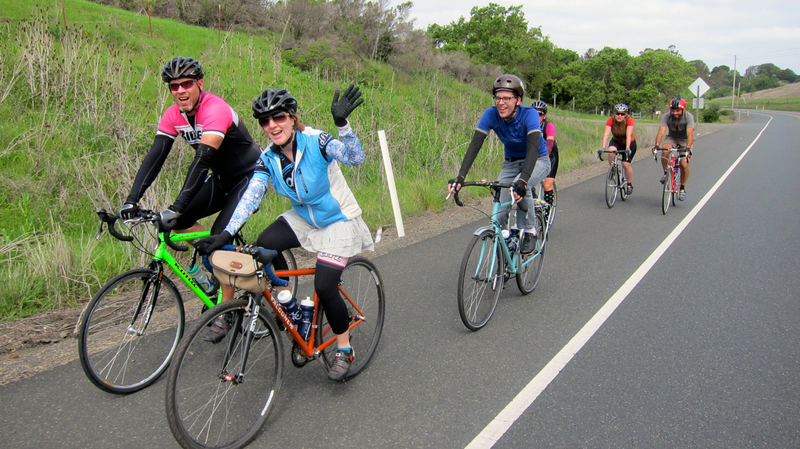 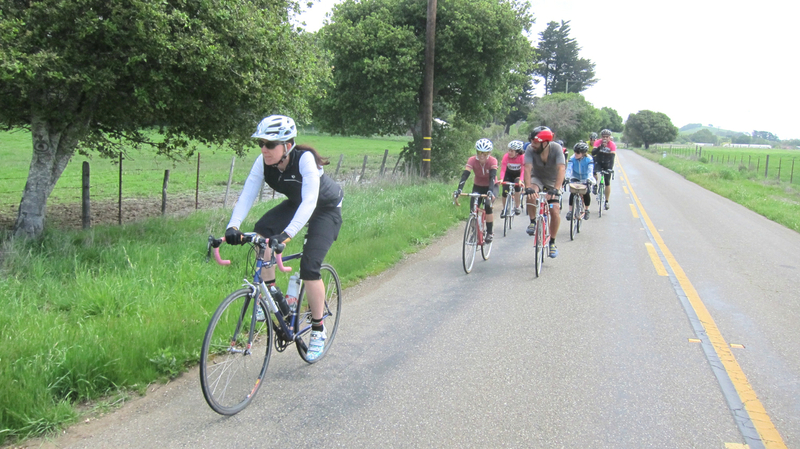 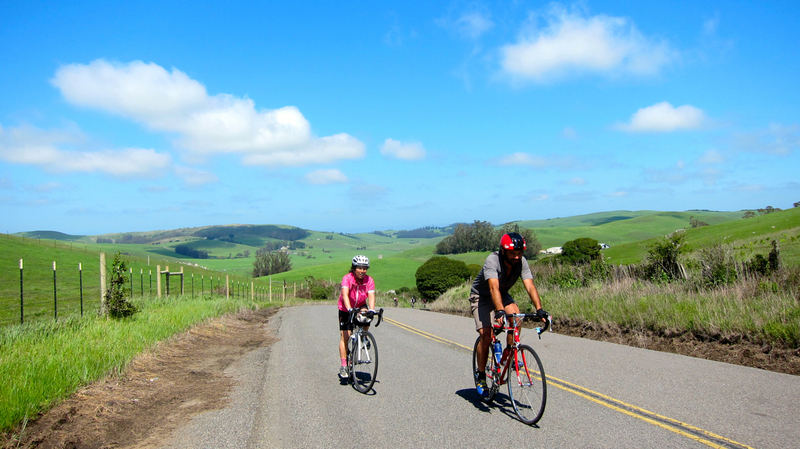 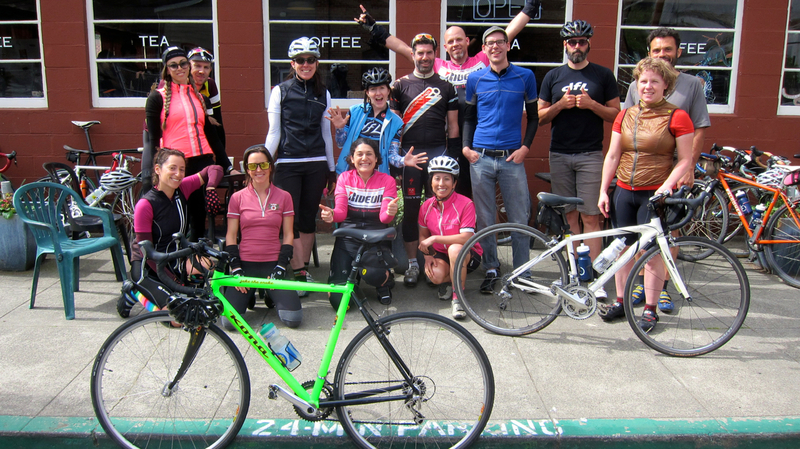 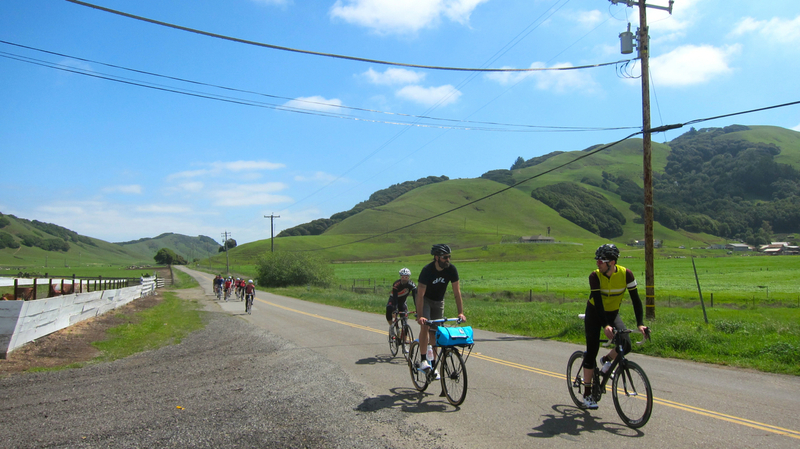 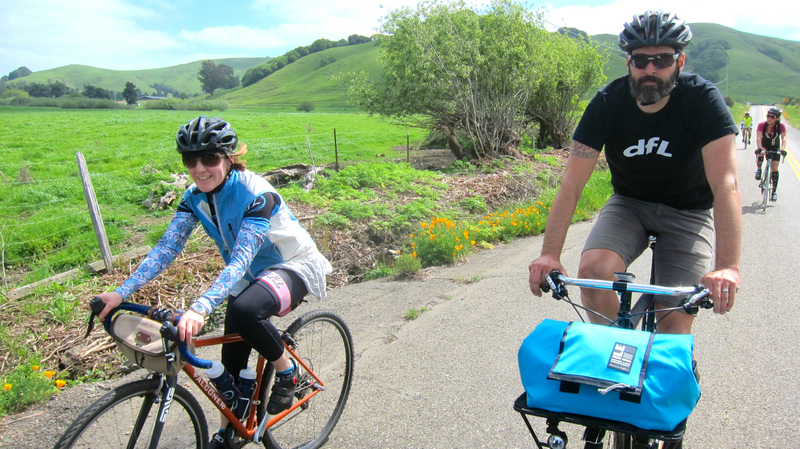 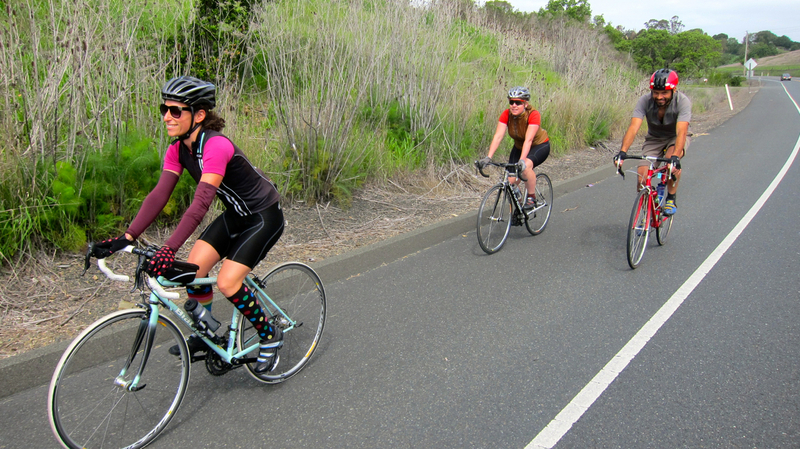 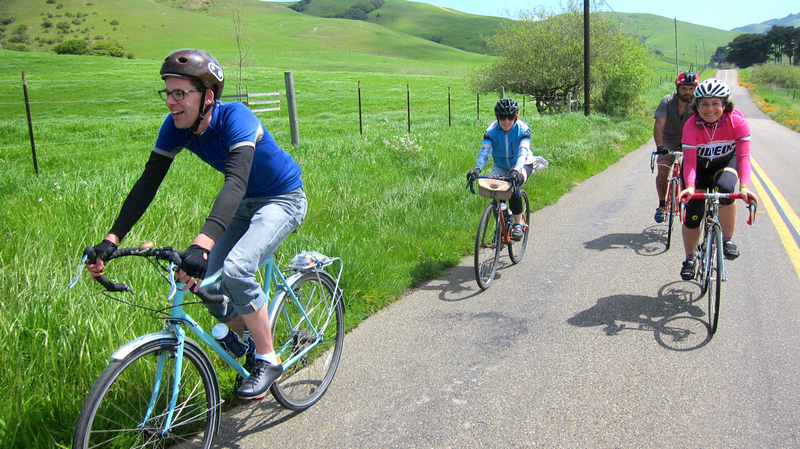 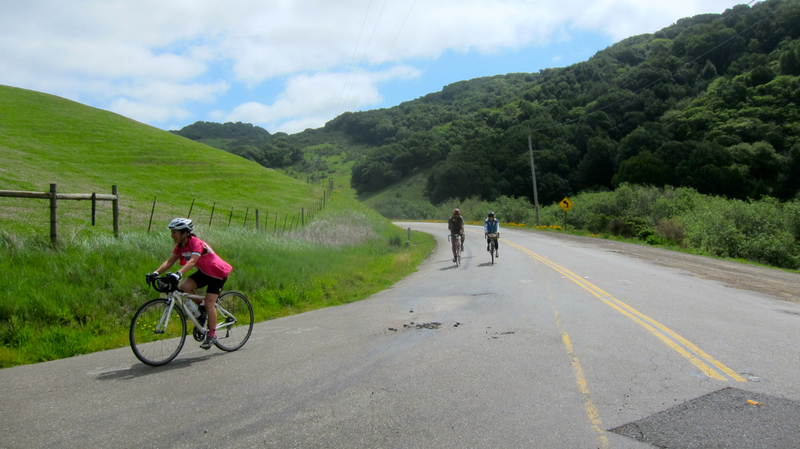 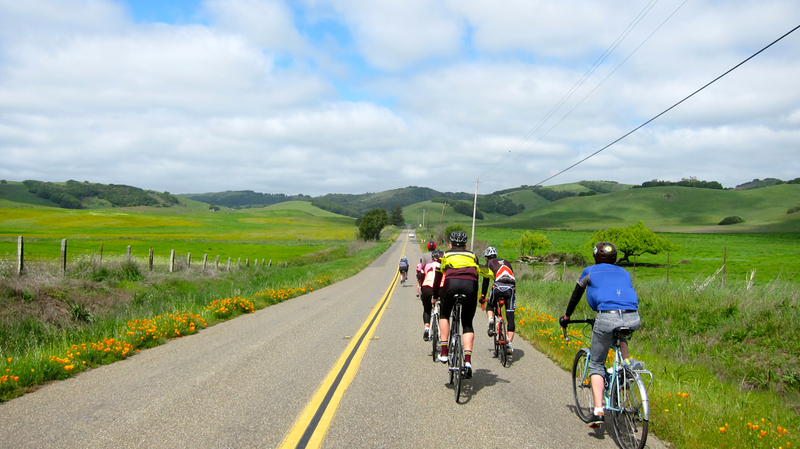 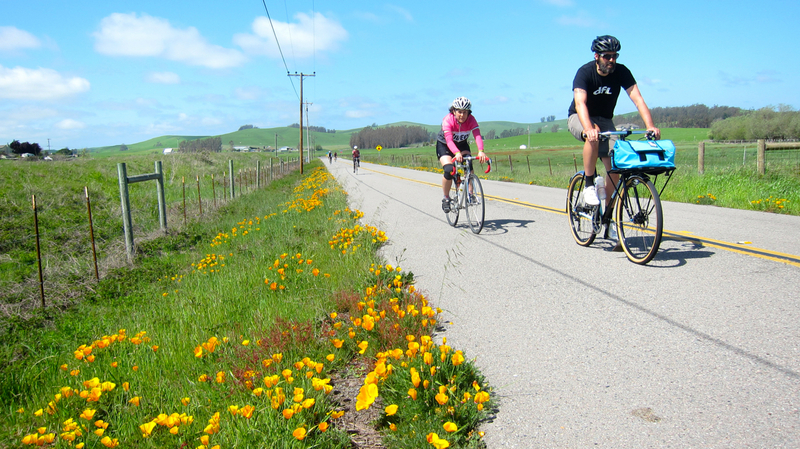 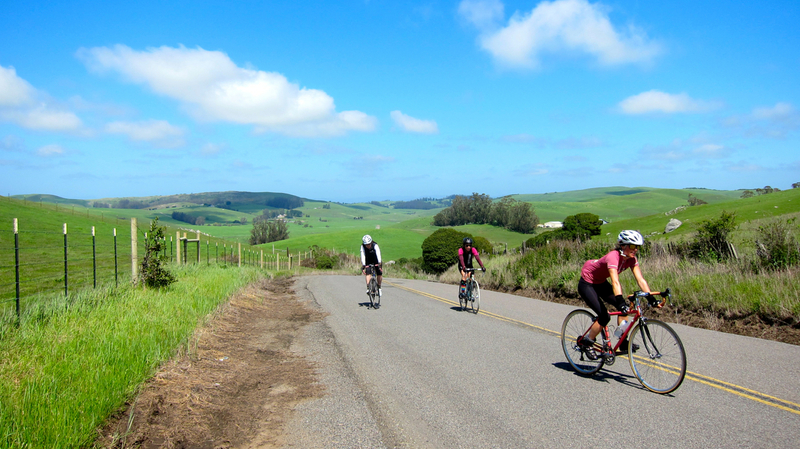 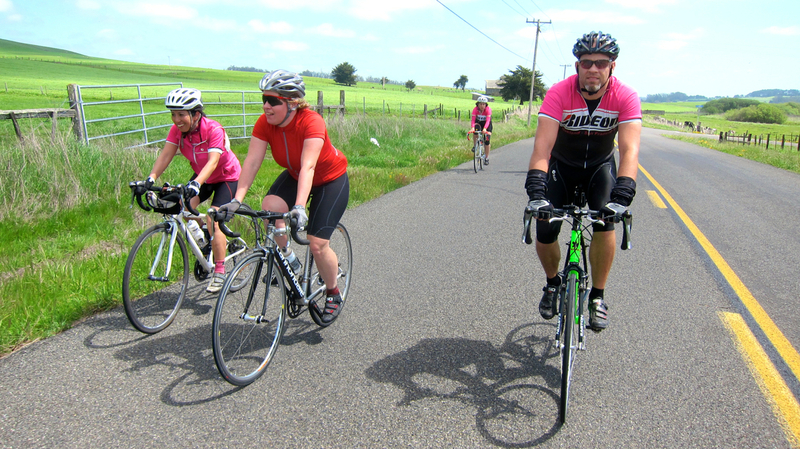 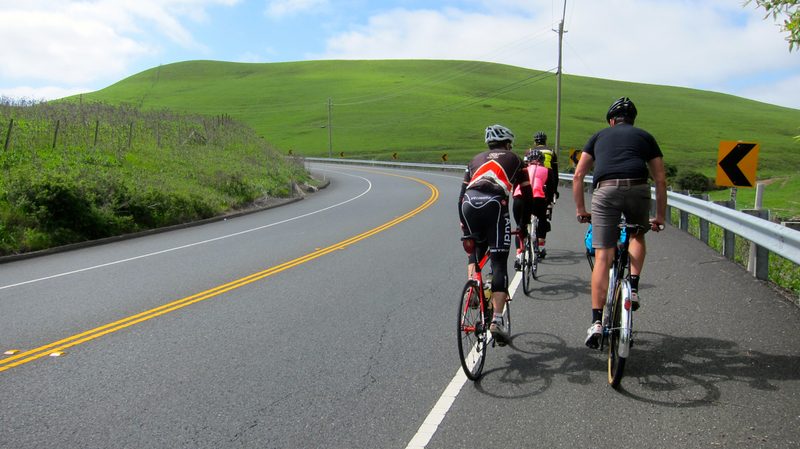 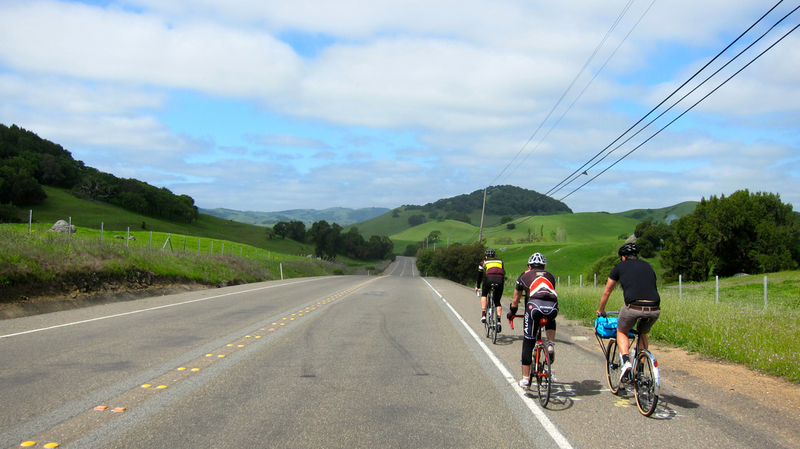 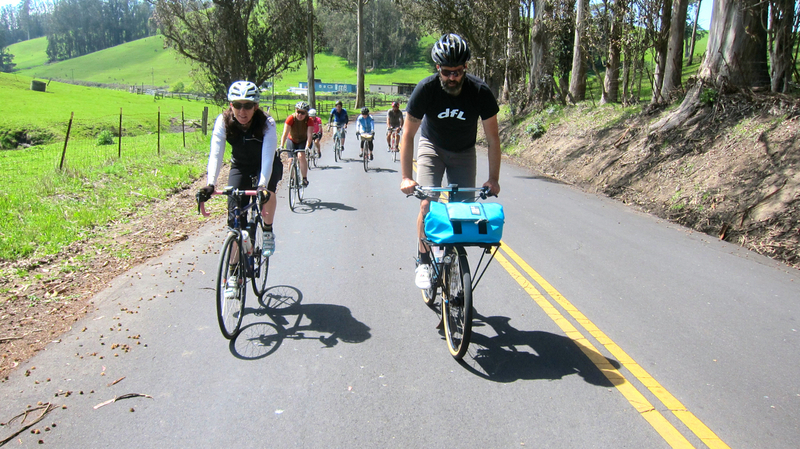 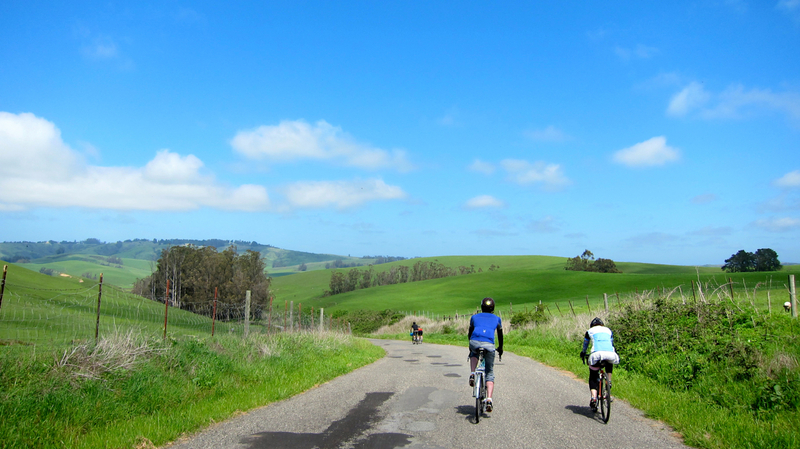 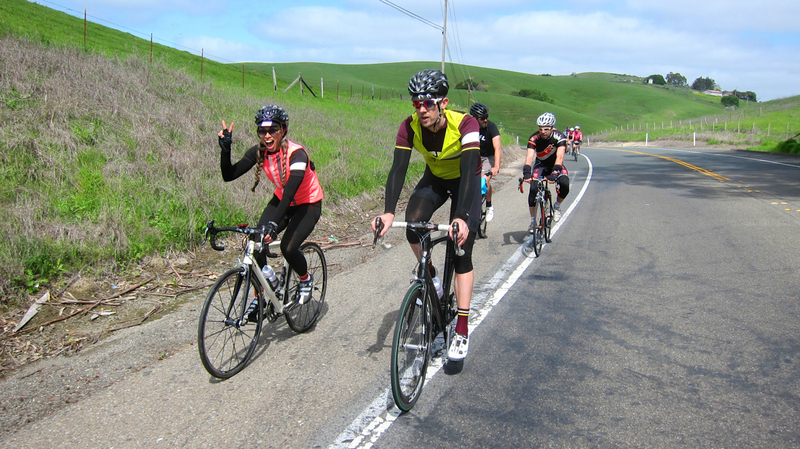 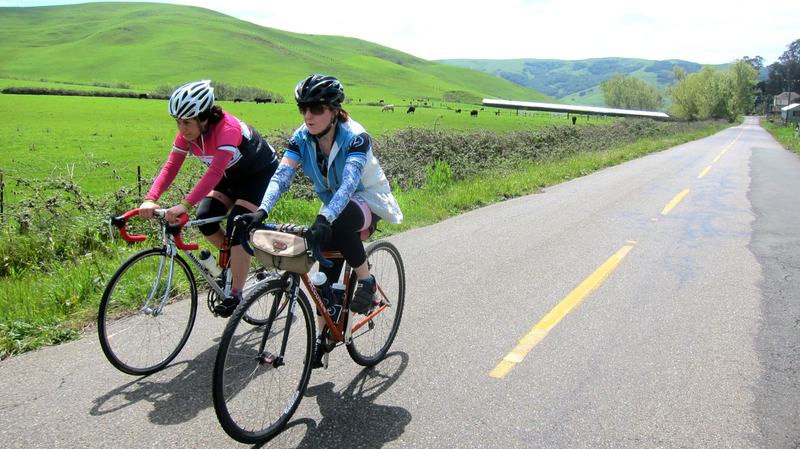 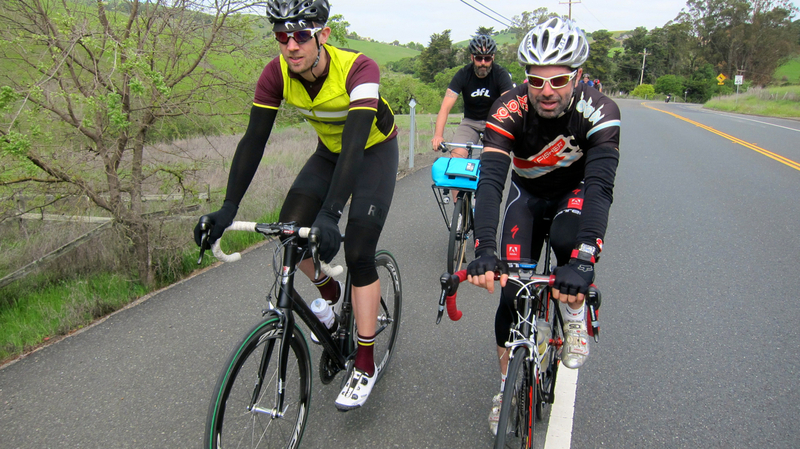 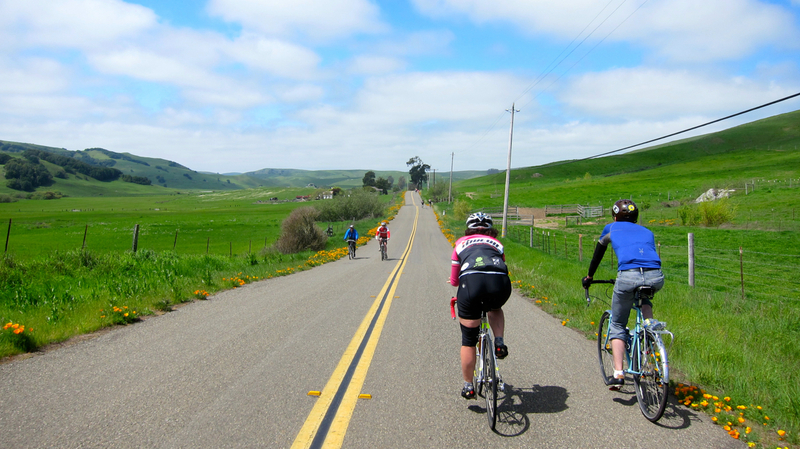 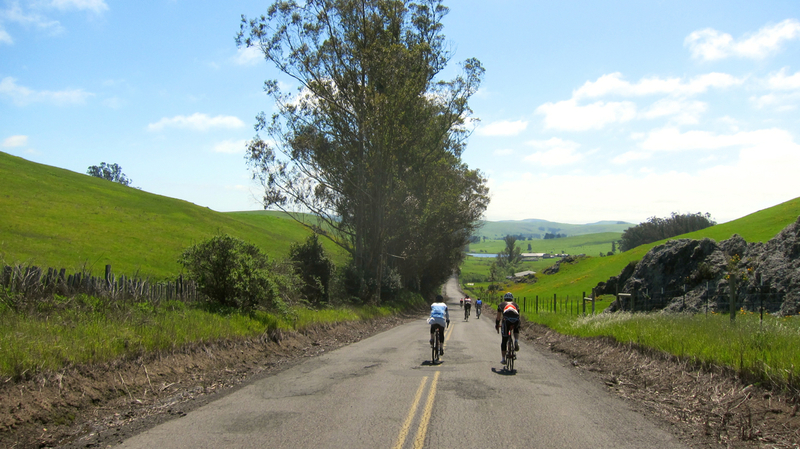 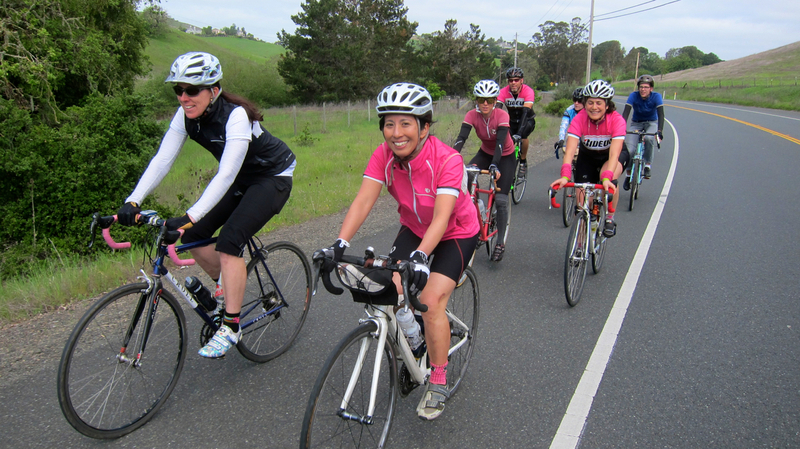 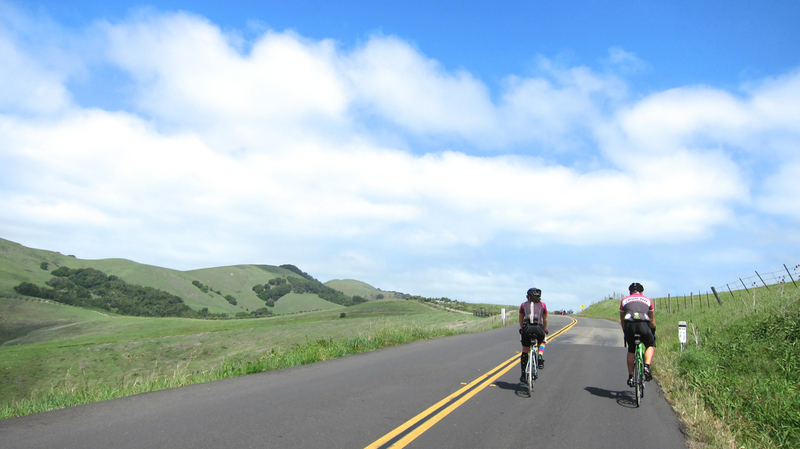 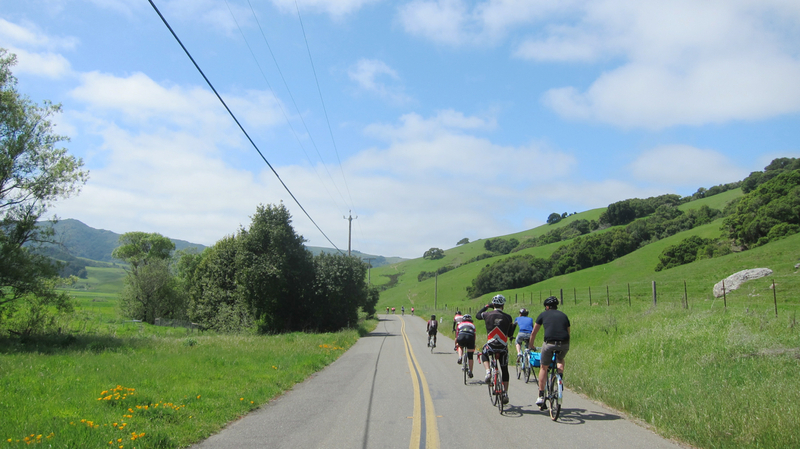 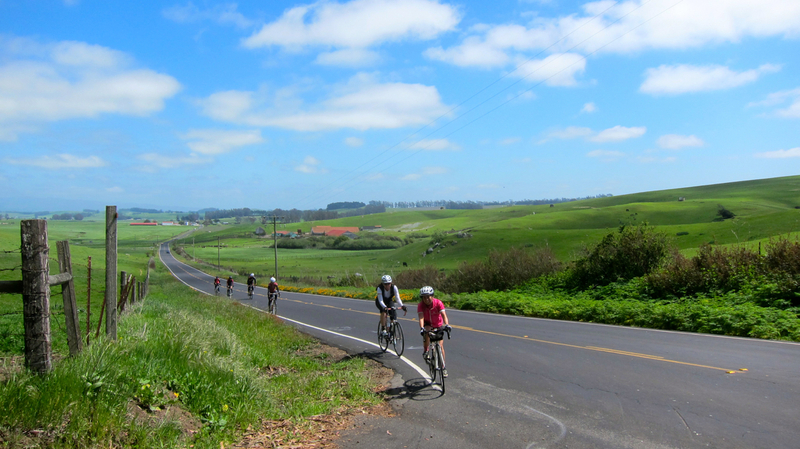 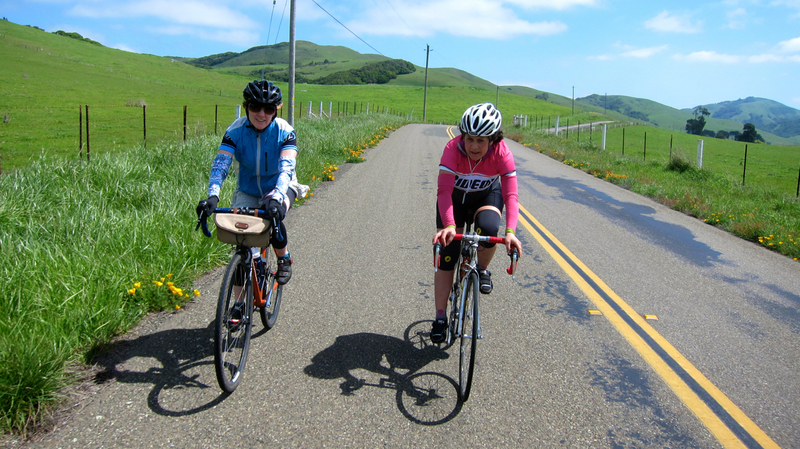 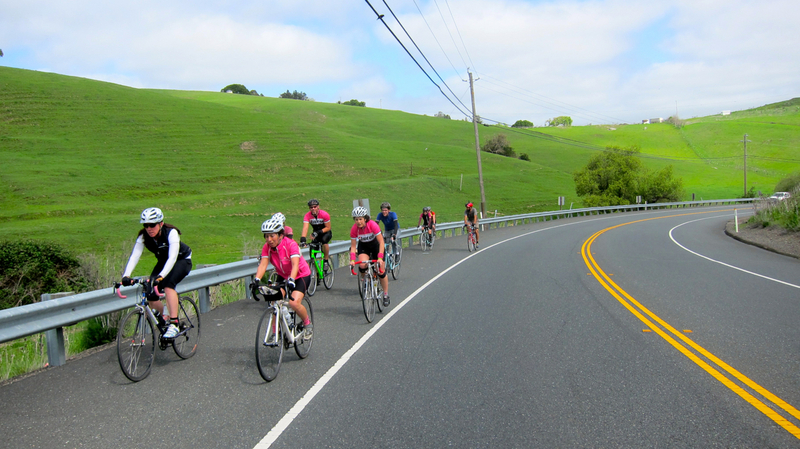 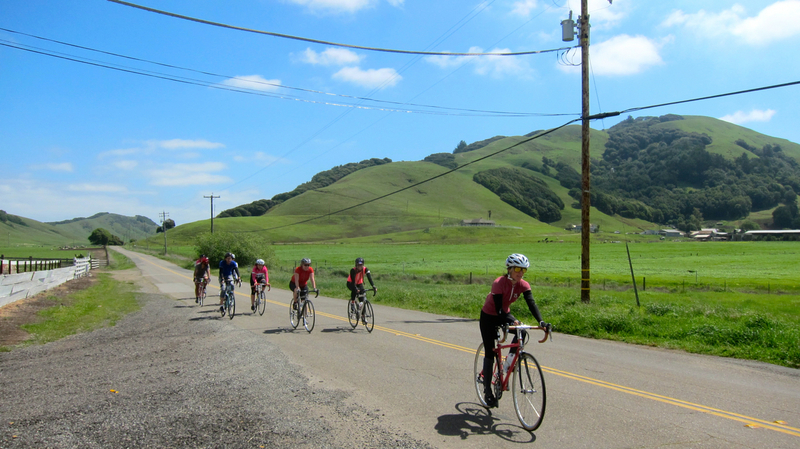 A mix of old and new Ride-On folks — 15 in all — gathered in Petaluma today for a spectacular 50-mile loop through Sonoma County farm country! 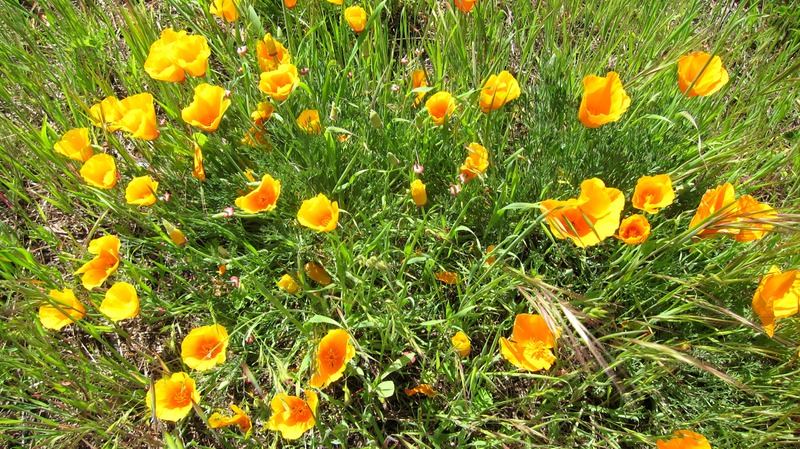 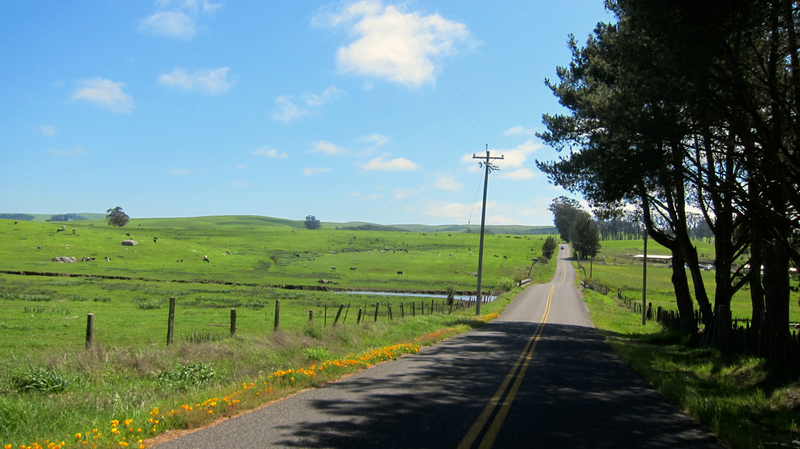 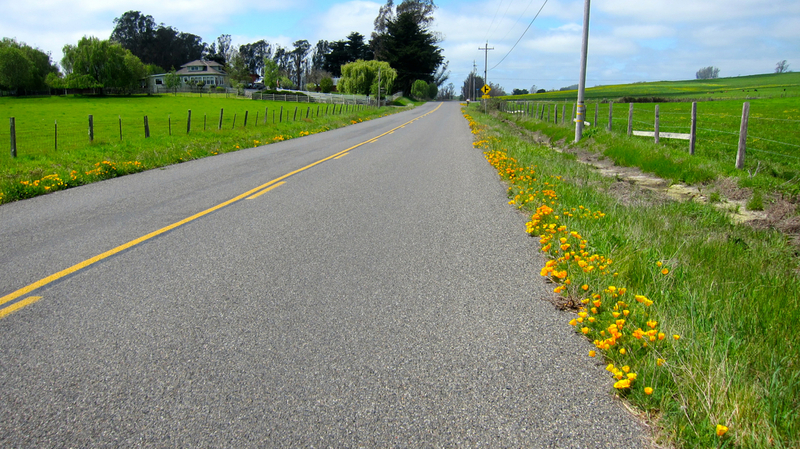 Despite our ongoing drought, the hills were lush and green with cows contentedly grazing in the pastures and bright orange poppies lining the roadside. 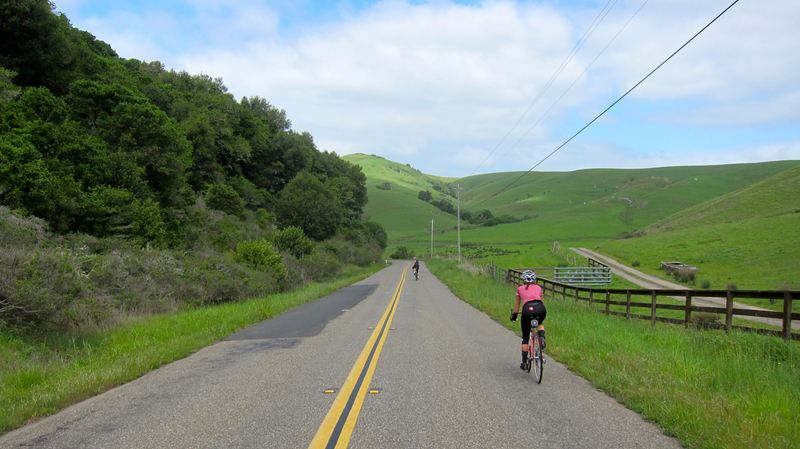 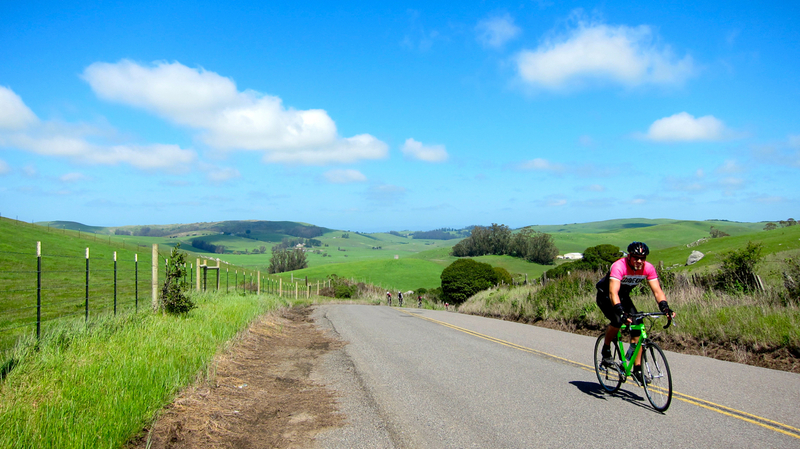 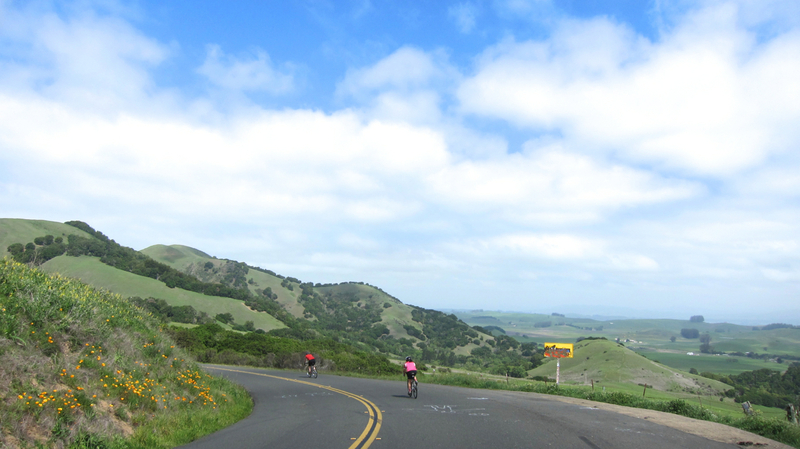 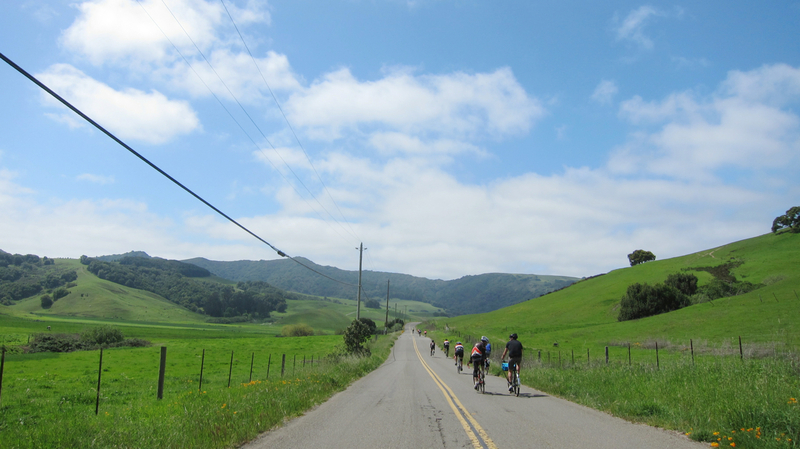 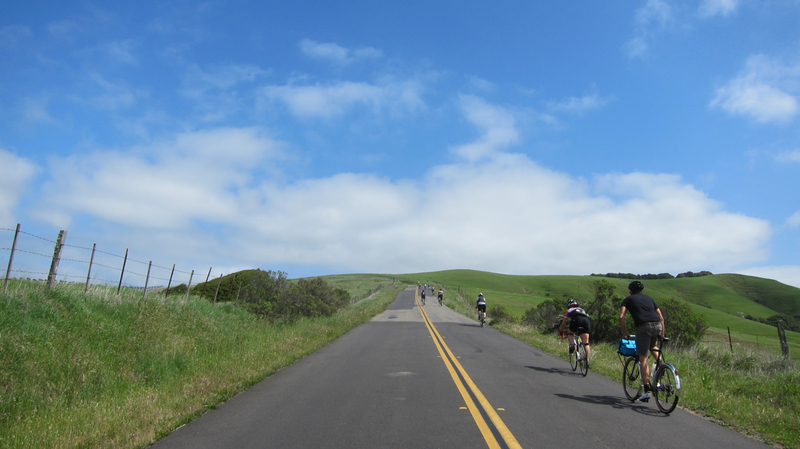 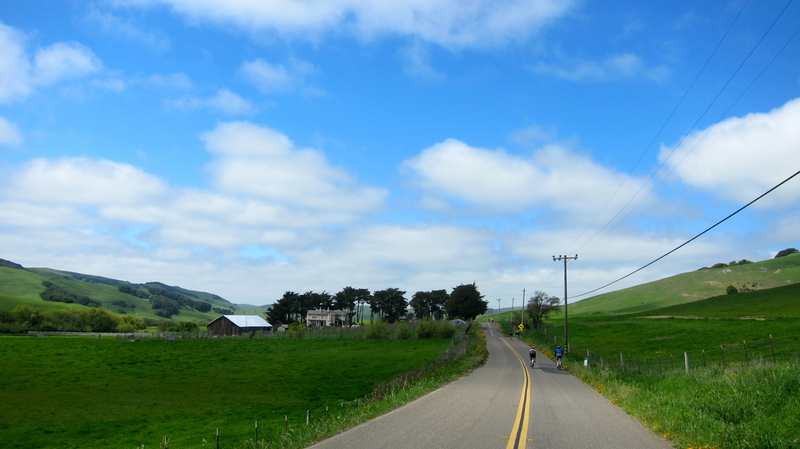 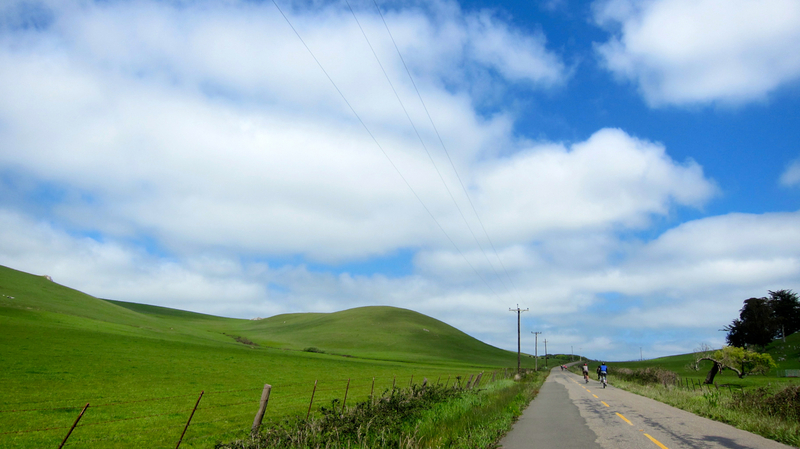 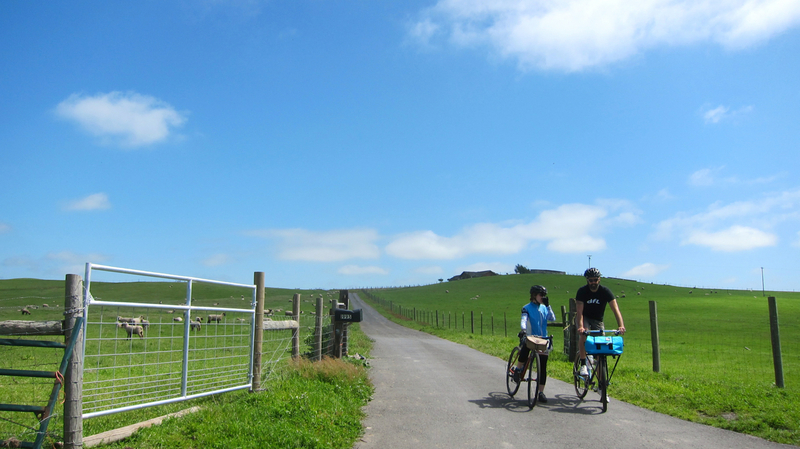 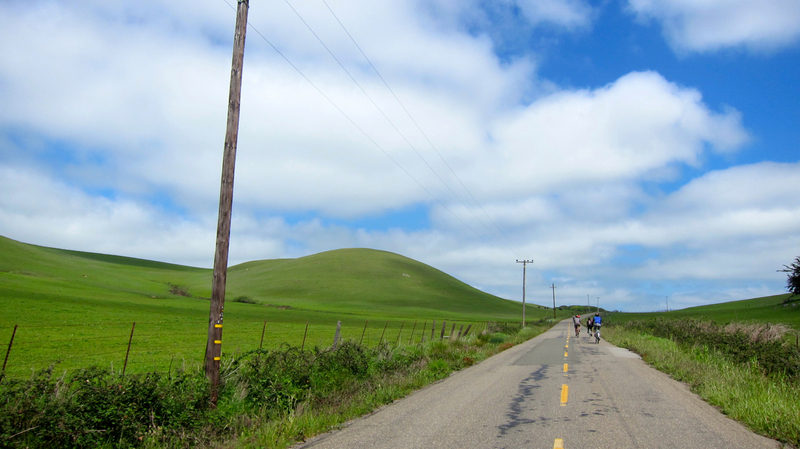 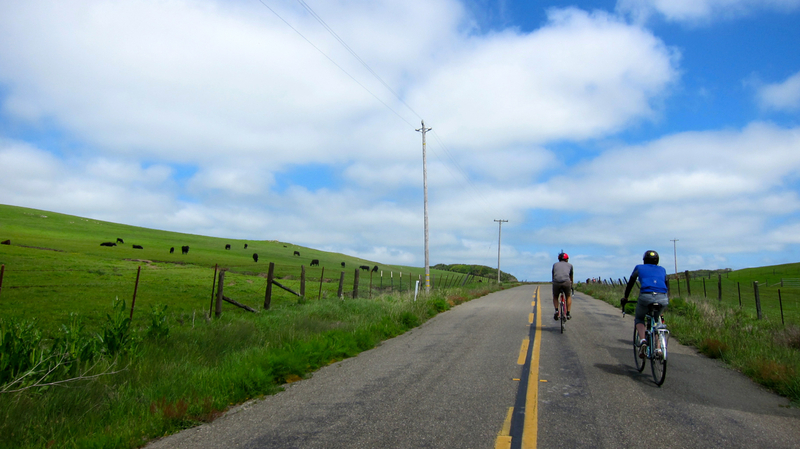 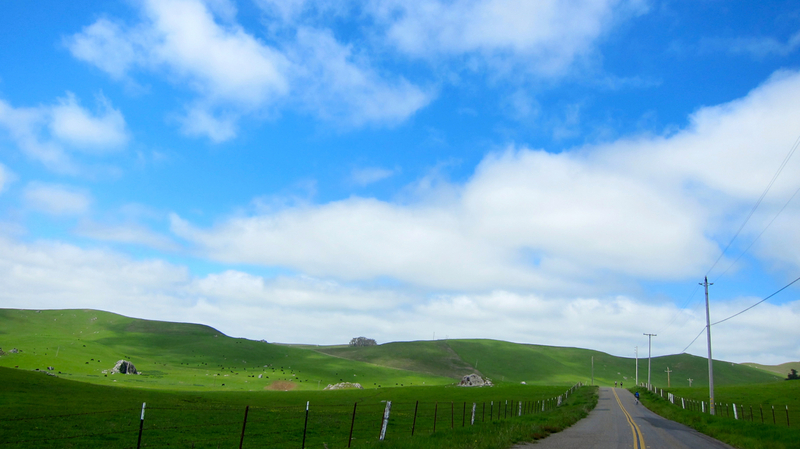 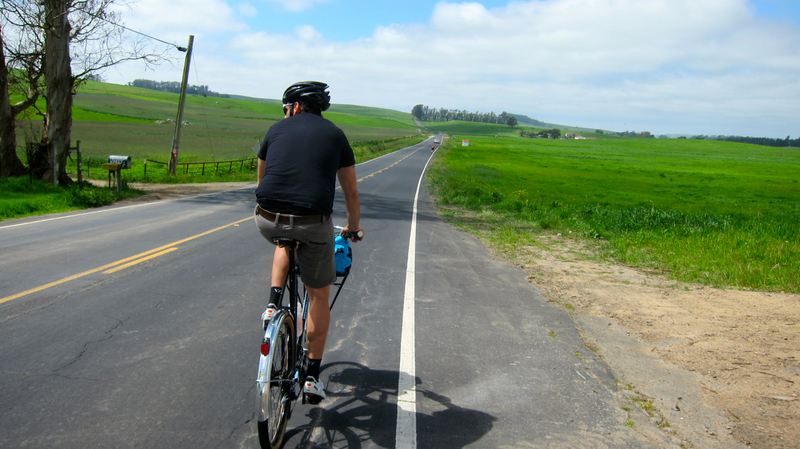 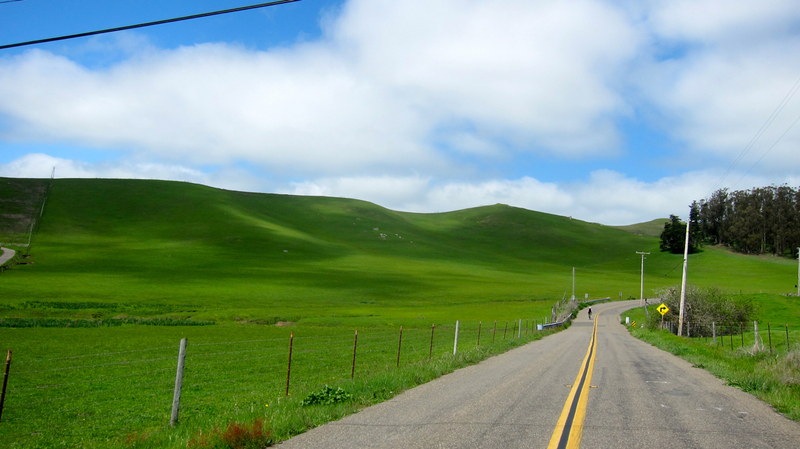 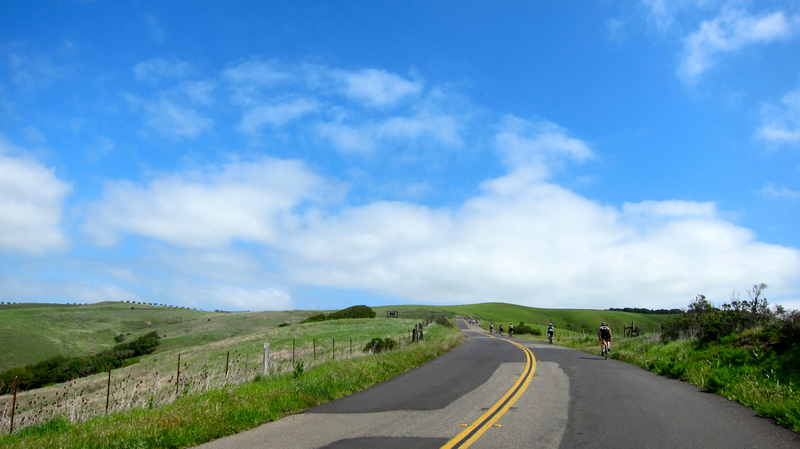 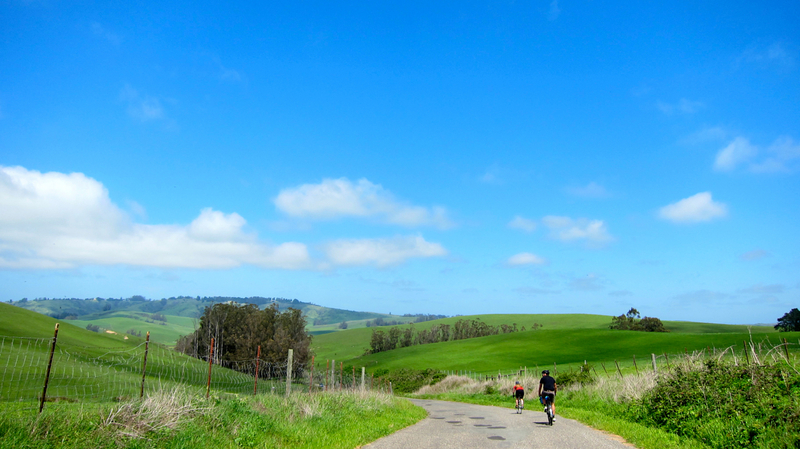 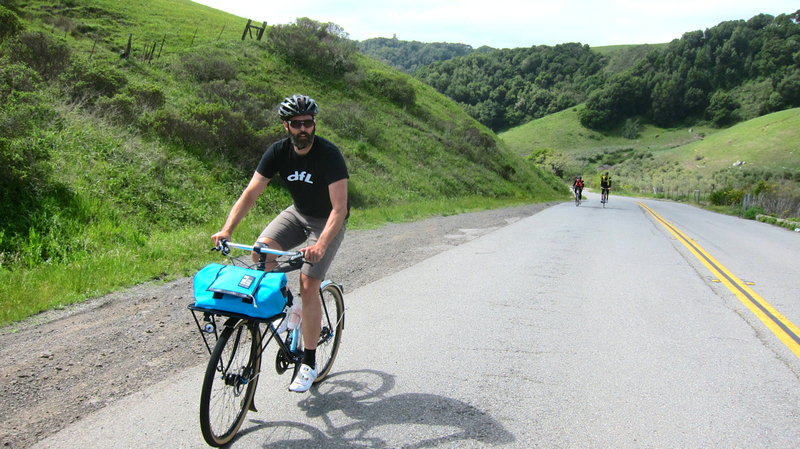 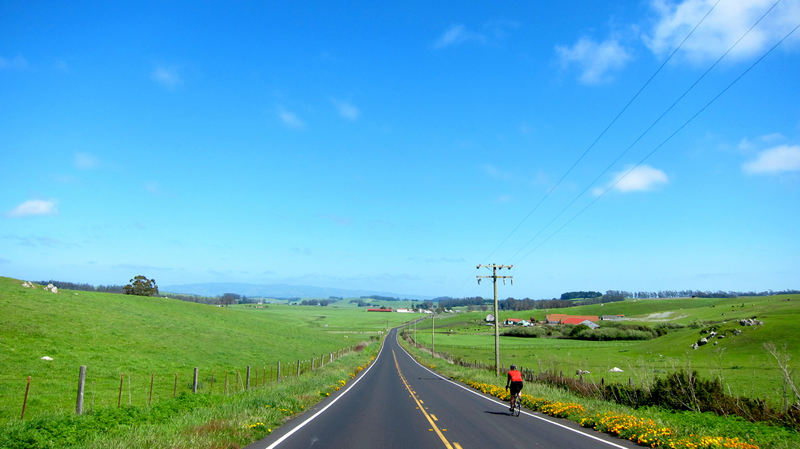 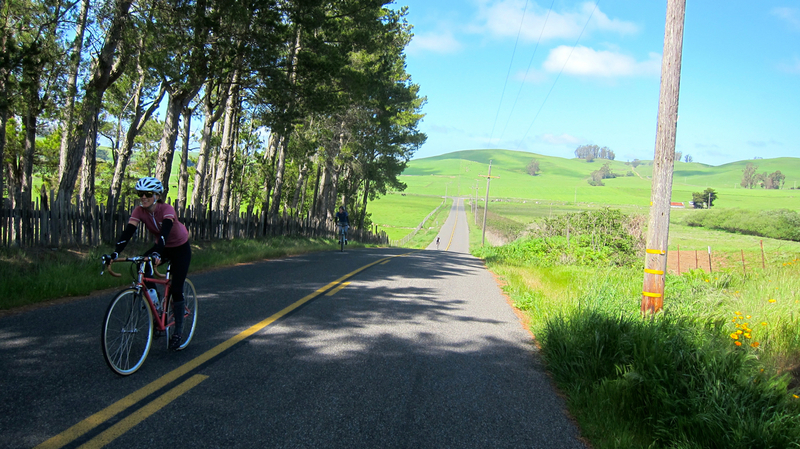 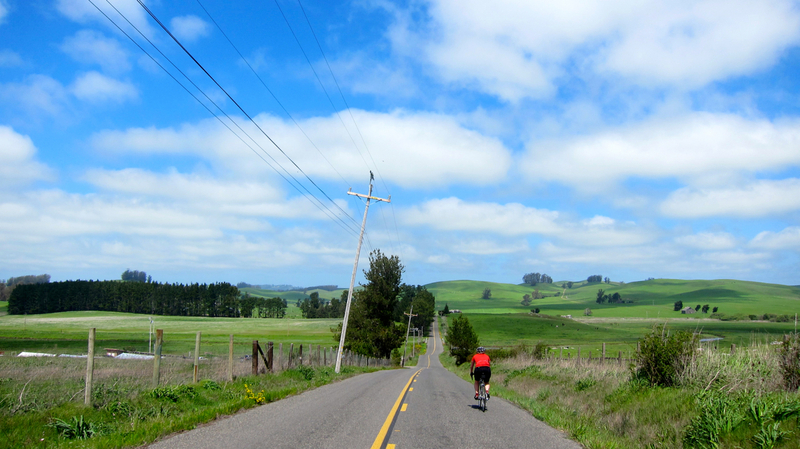 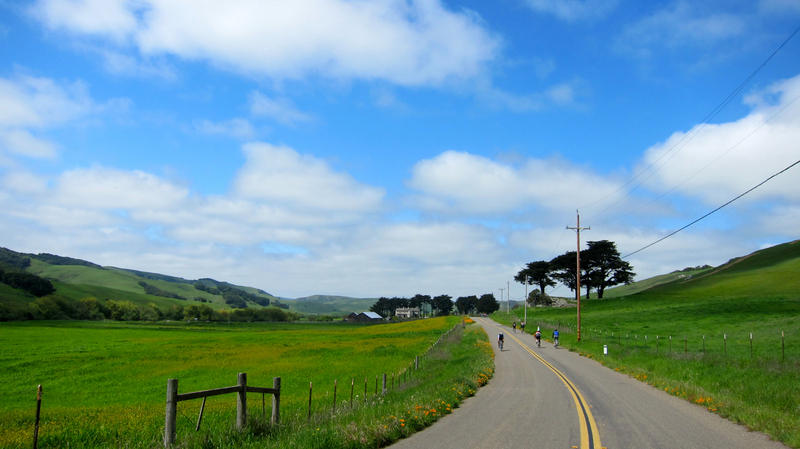 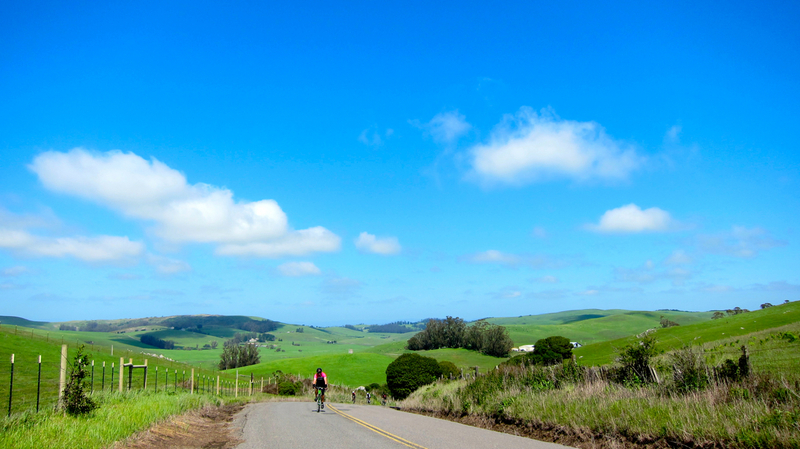 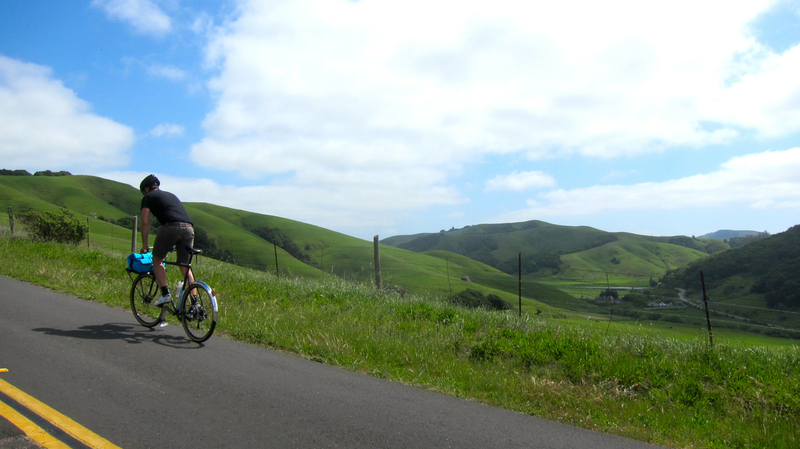 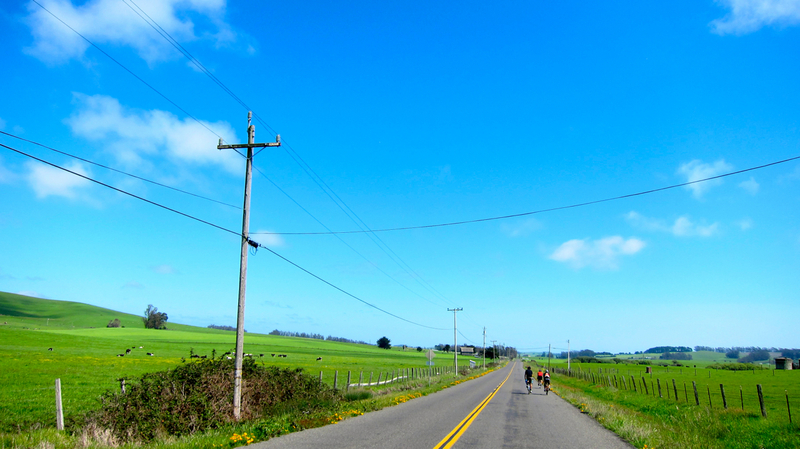 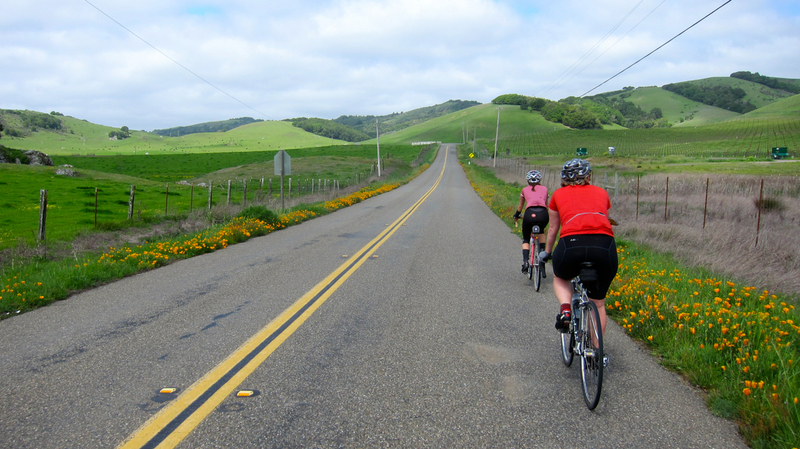 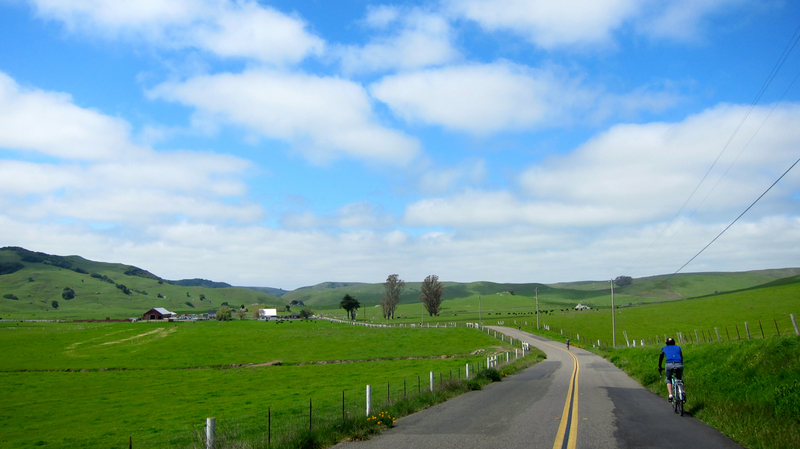 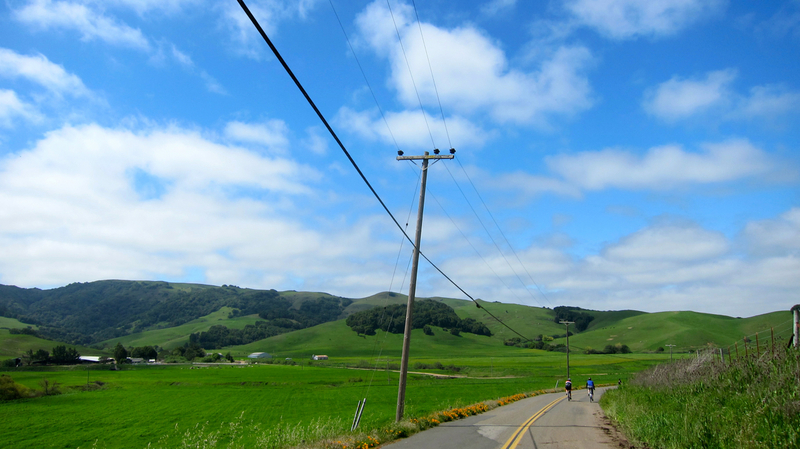 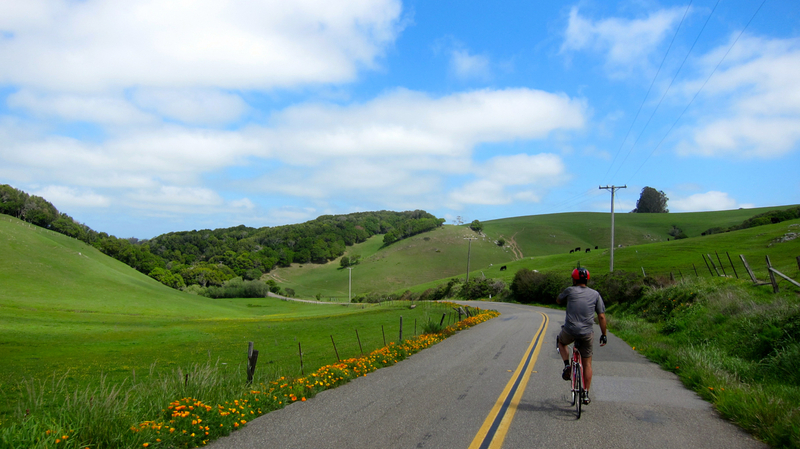 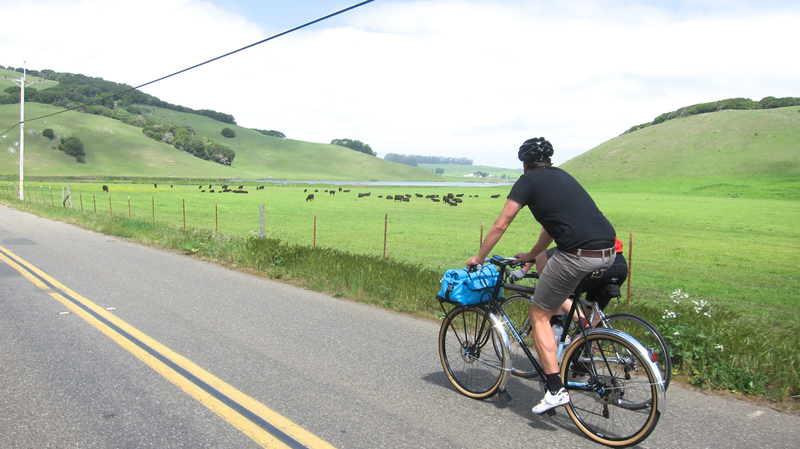 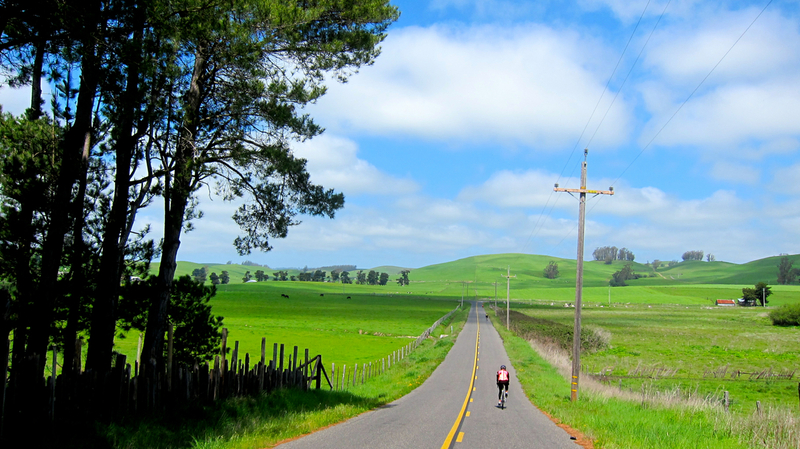 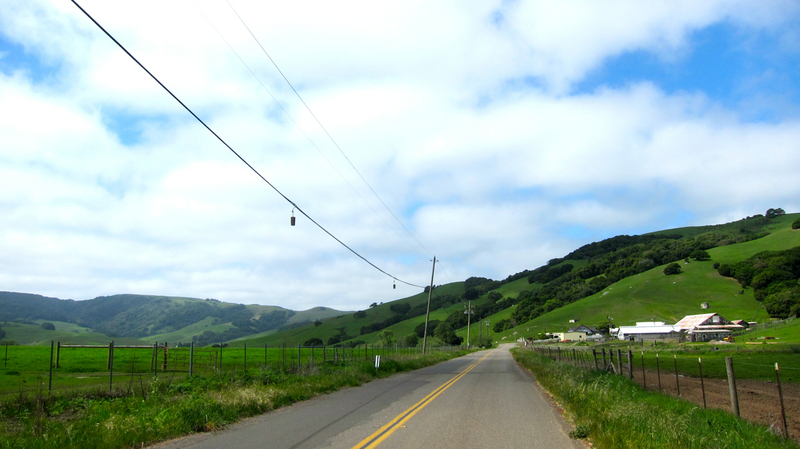 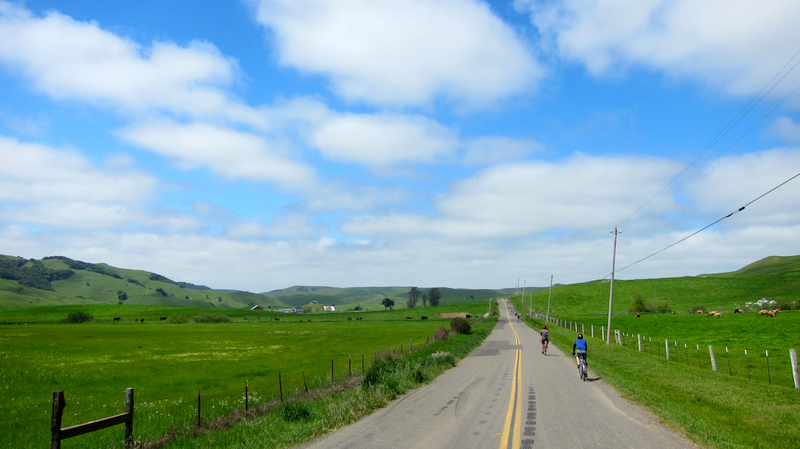 As Ulrika said, “It was like riding through landscapes from a Microsoft Windows desktop background all day.” We tried to finish up at Lagunitas Brewery at the end, but apparently everyone else in town had the same idea — so we retreated to a local sandwich shop instead for food and beers. 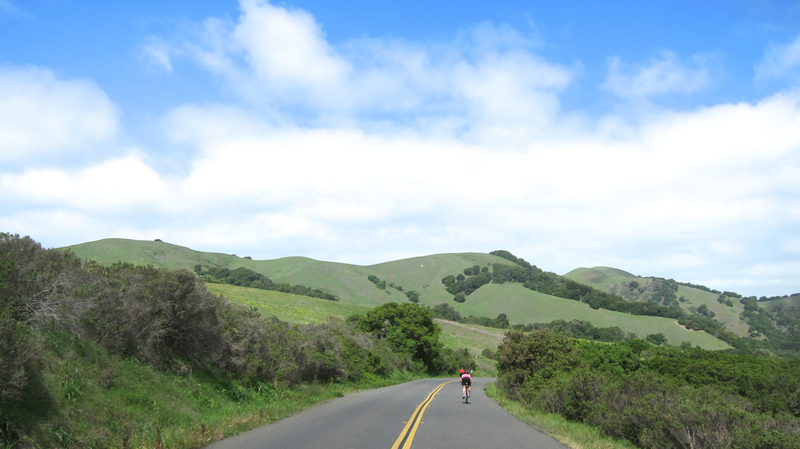 Great ride and looking forward to our next adventure!